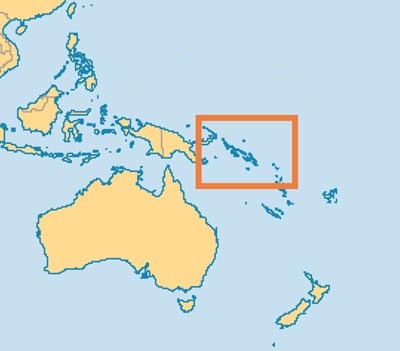 The Solomon Islands have a population of 582,000 with English, Pidjin and local dialects being the main languages. The main religion is Christianity, which is predominantly Protestant. Work started in 1996. 4 or 5 field worker visits are made each year to conduct seminars and for pastoral support. There are four ecclesias, one in Honiara, two others within a few kilometres of each other on the island of Malaita and the fourth on the remote Reef Islands, more than 600km east of Honiara, where two brethren live. Because the brethren and sisters are dispersed in different areas we attempt to gather them together annually at a Bible Week. A Bible School or other gathering is held annually. ‘Let the Bible Speak’ is broadcast over the national radio each Sunday night. There are about 70 undertaking the Bible Correspondence Course. The highlight of the last year (2017/18) was the number of baptisms which took place, increasing the number of brethren and sisters in the Solomon Islands by about 40%. The majority of those baptised are the children of brethren and sisters who have come through Sunday School, and had the benefit of attending Bible Schools and Youth Conferences. The most recent Bible Week was attended by 20 brethren and sisters and 5 interested friends. There were about 30 children and young people in the Senior Sunday School and 28 in the Sunday School for those under 12 years. The “Let the Bible Speak” radio programme, which is broadcast by the Solomon Islands Broadcasting Corporation still attracts a good listening audience throughout the Islands. A gospel presentation was advertised in Honiara during the last visit and three friends attended. The Honiara Hall, which was built last year, is now being used regularly for meetings and Sunday School.